Prof N.S. Rajan struck a nostalgic note in tracing the growth of AIMS from its humble origins during the Alumni Meet held on 1st March at the Atharva Campus. The Alumni meet witnesses a spontaneous outpouring of affection and emotions by the former students of AIMS. All the students, right from one of the earliest batches to the latter ones thanked the faculty of AIMS for making their stay a memorable and fruitful one. Many of them came on to the dais to express their gratitude and share experiences from the past. 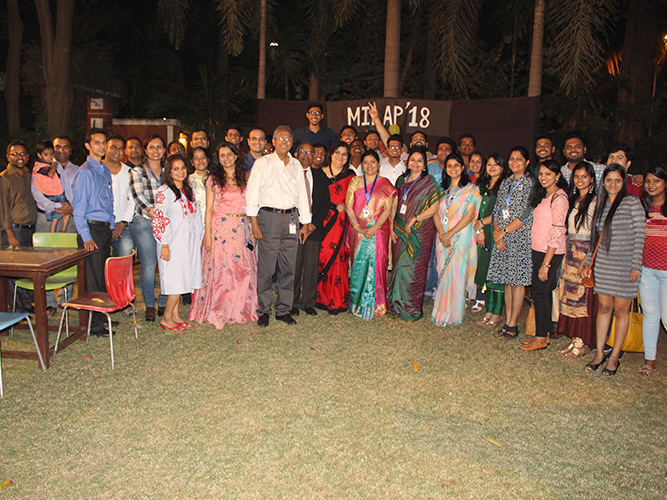 Atharva Institute of Management Studies organized an Alumni Meet- Milaap to trace the nostalgic path and its growth from its humble origins, held on 17th November, 2018. 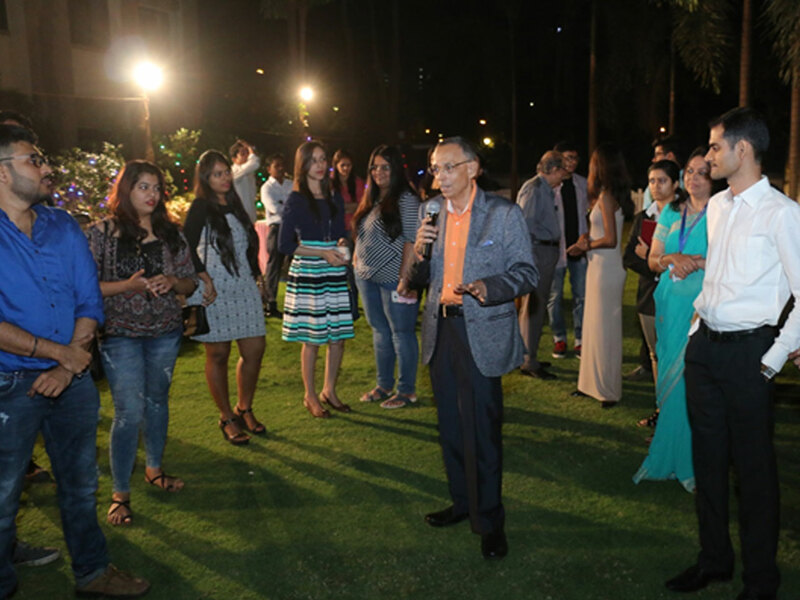 The Occasion was graced by more than 60 alumni, faculties and all the current students of AIMS. The Evening started off with lighting of the lamp by our Director Dr. Sujata Pandey. The current batch students extended a very warm, cordial and affectionate welcome to all the Alumni and were excited to listen to the Alumni’s stories, thoughts and take on future aspirations. 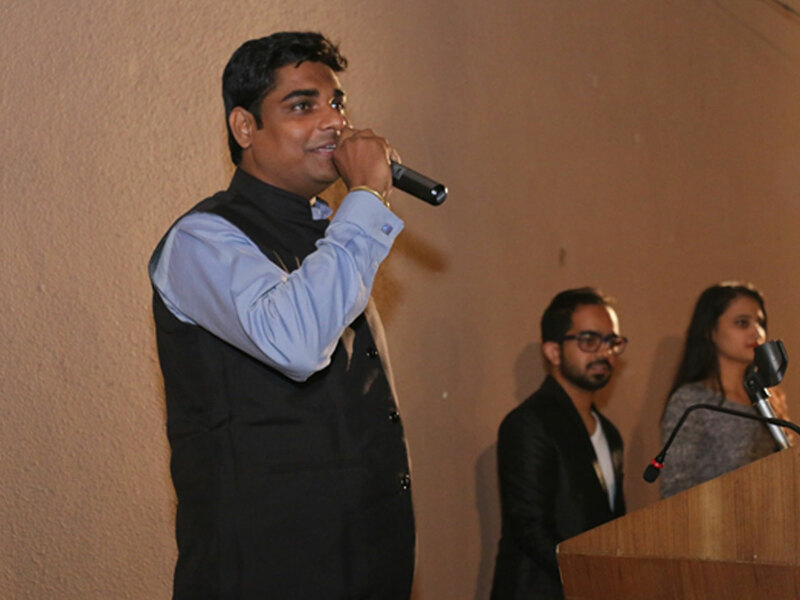 Alumni students recalled their B-school days emotionally and expressed their gratitude towards the management, faculty members and the institute for shaping their life. 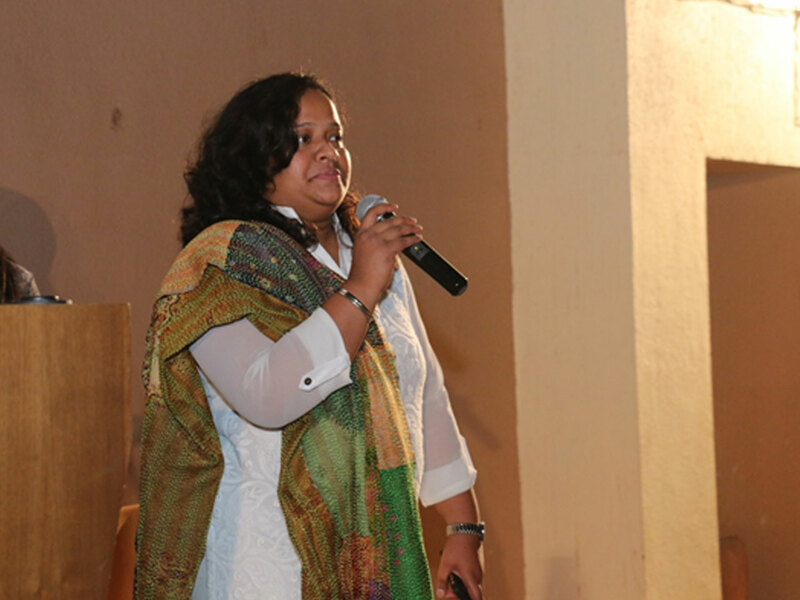 Our Director, Dr. Sujata Pandey praised the achievements of Atharva Institute of Management Studies and the Alumni. She is proud of the fact that the Alumni are occupying senior positions in their organizations and many of them are successful entrepreneurs. She also took into consideration Alumni’s view and opinion on how to contribute to the growth of the Institute. A group singing performance was performed by the current batch where the Alumni also joined in to the soulful rendition of songs. 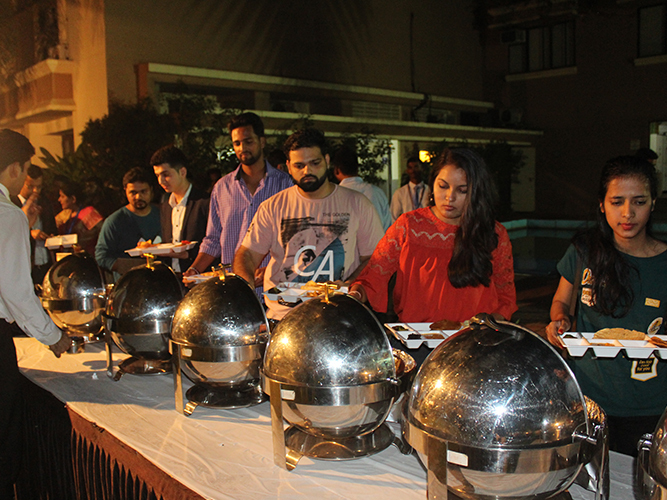 The event concluded with a cake cutting, dinner and followed by a DJ night. 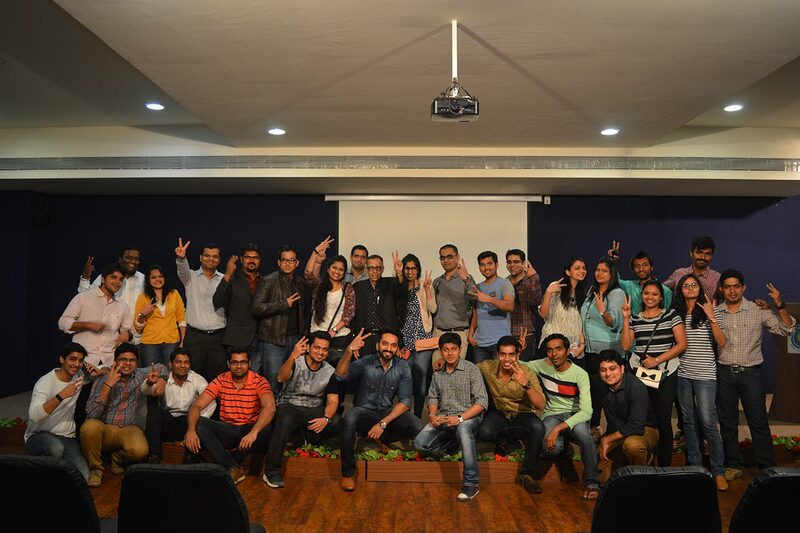 It was the time again for nostalgia as around 100 plus students from different batches of Atharva Institute of Management Studies gathered to relive the old memories. 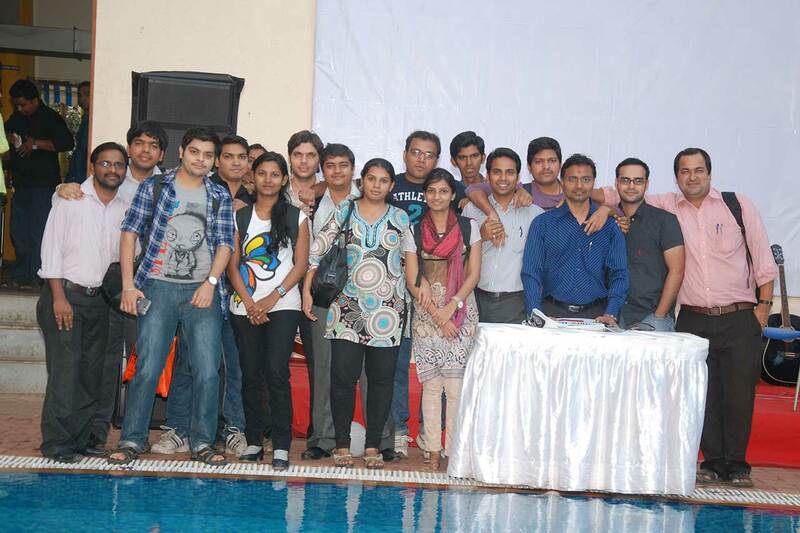 The Alumni Meet – Milaap 2017 was held at the Poolside at Atharva Campus on March 4, 2017. The day’s programme had a lot of exiting events lined up to raise the nostalgia one notch up. 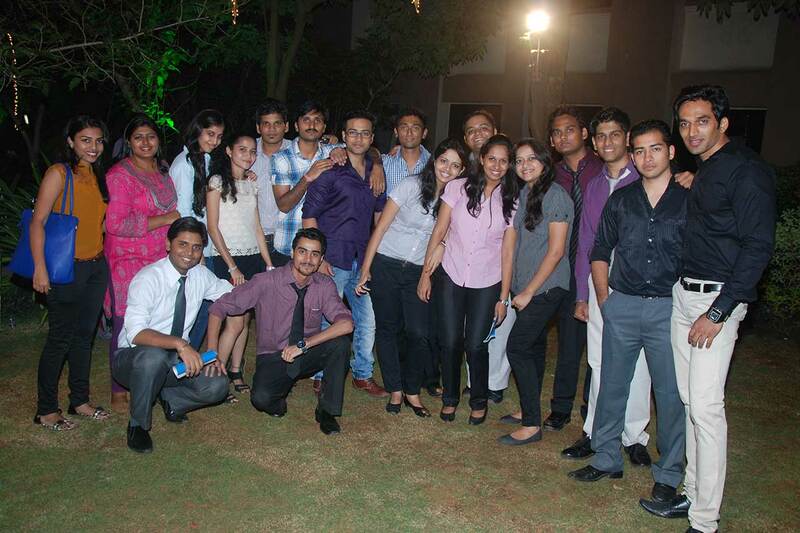 It started with a melodious performance by the current batch of MMS and PGDM for their Seniors. 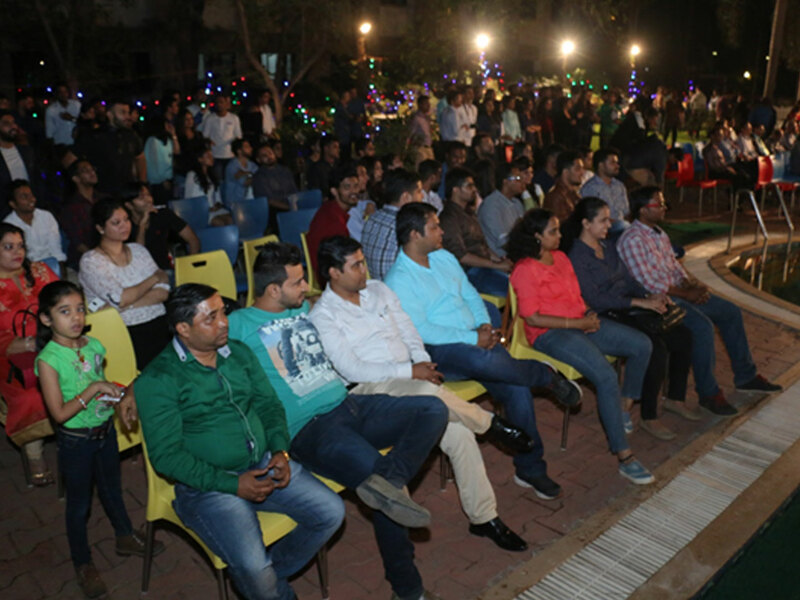 The students made sure that the Alumni get a lovely walk down the memory lane by their soulful rendition of songs as well the beautiful video capturing moments at Atharva Campus. It was the highlight of the evening. Post which, some of the Alumni were invited on stage to talk about their experience in Atharva and how their lives have changed for good after passing out from Atharva. Mr. Mayur Joshi, Ms. Yojita Patel, Ms. Amrita Shetty, Mr. Ramnath Sengupta, Ms. Vineata Srivastava were gracious enough to come up on stage and talk about their association with AIMS and how it has increased over the years. And the last part of the programme, our Dean Prof. N. S. Rajan made sure that the event was taken one notch higher as he went among the students and addressed them rather than the usual route of talking on the dais. He made sure he addressed each and every student who had made time and were present. He individually welcomed everyone and made sure that every Alumnus is well attended as they represent our brand and are our intellectual capital. 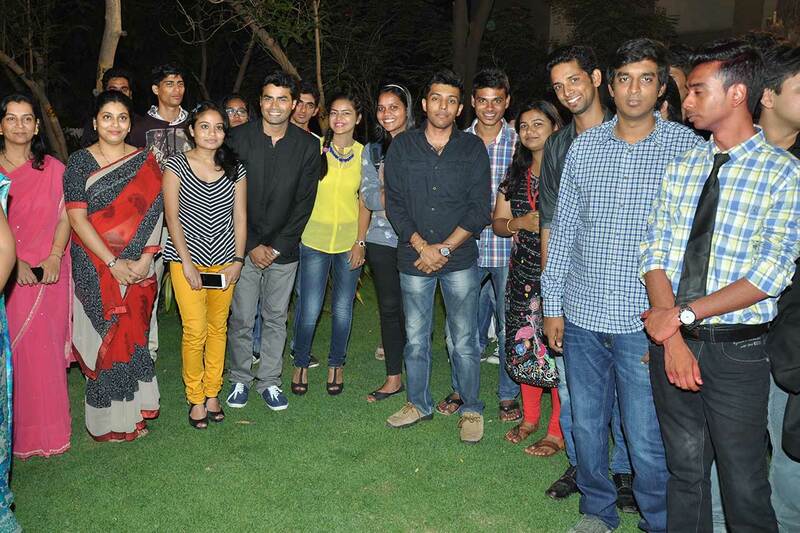 The event ended with a lovely cake cutting and sumptuous dinner. 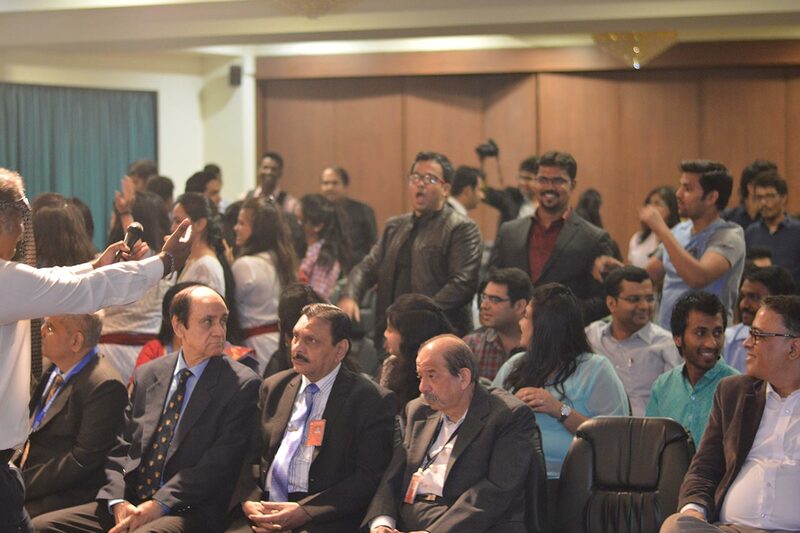 To take a walk down the corridor of nostalgia, the Alumni Meet - Milaap 2016 of Atharva Institute of Management Studies witnessed the amazing inaugural session by Prof. Paul Rosario. Prof. Paul made sure that the event had that energy and enthusiasm in the beginning itself. 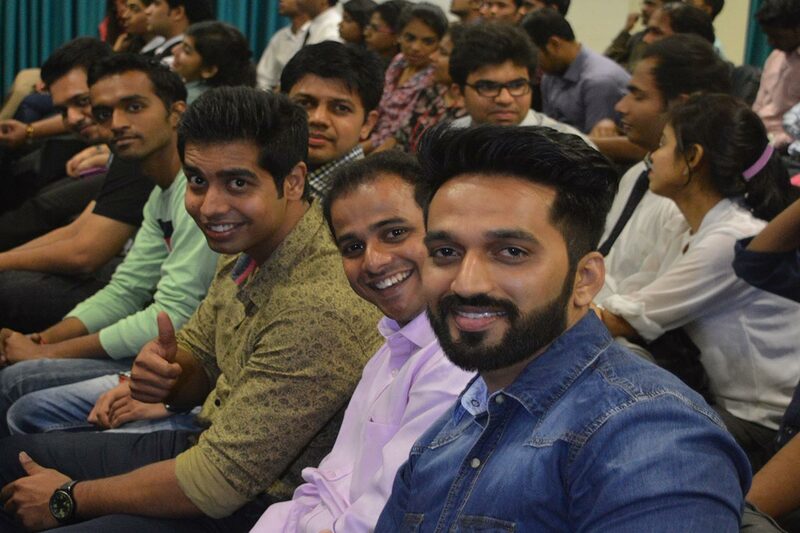 The inaugural session was followed by the cultural programme wherein the current students of MMS as well as PGDM had prepared some songs and dances for their seniors and super seniors. 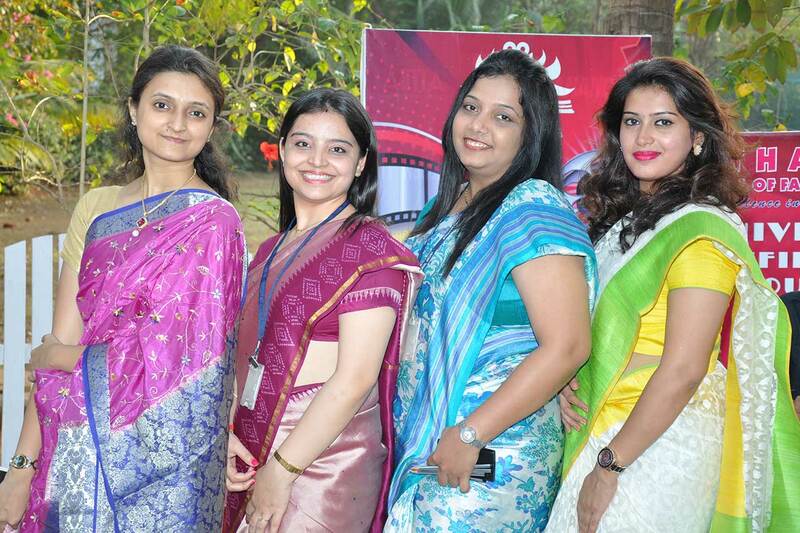 It was a nostalgic feeling for the alumni who relived their days at Atharva with the beautiful songs and video. 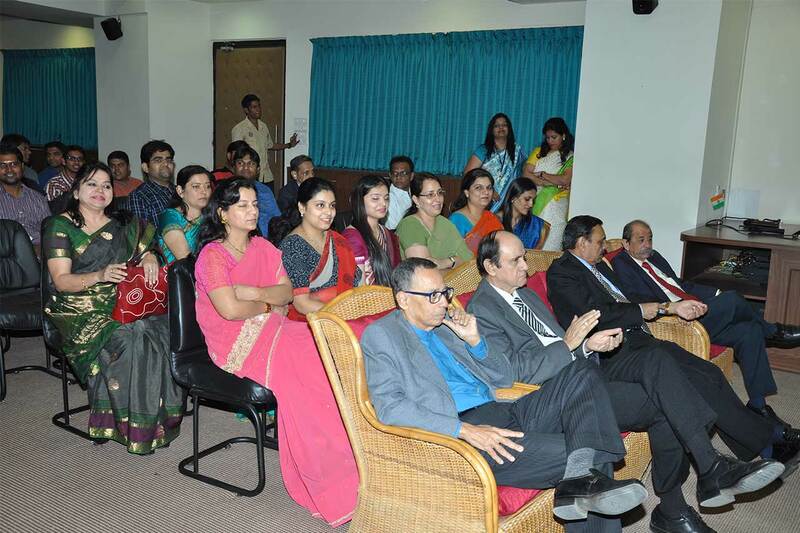 Followed the cultural session, we had Prof. Rajan talking to the Alumni. 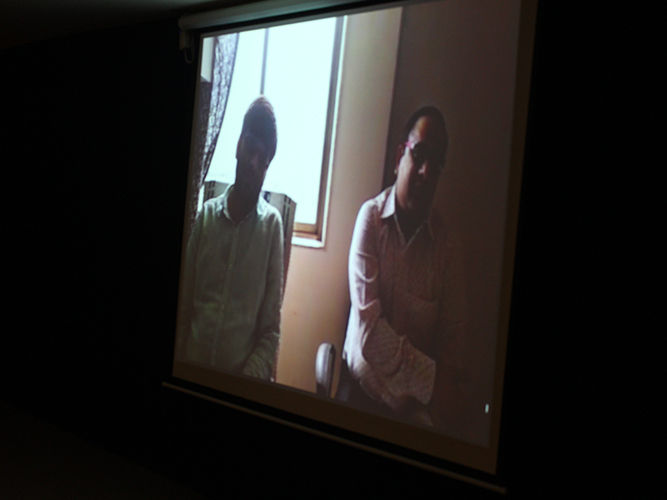 But there was a twist this time, wherein he encouraged students to make video chat and show it live during the session. 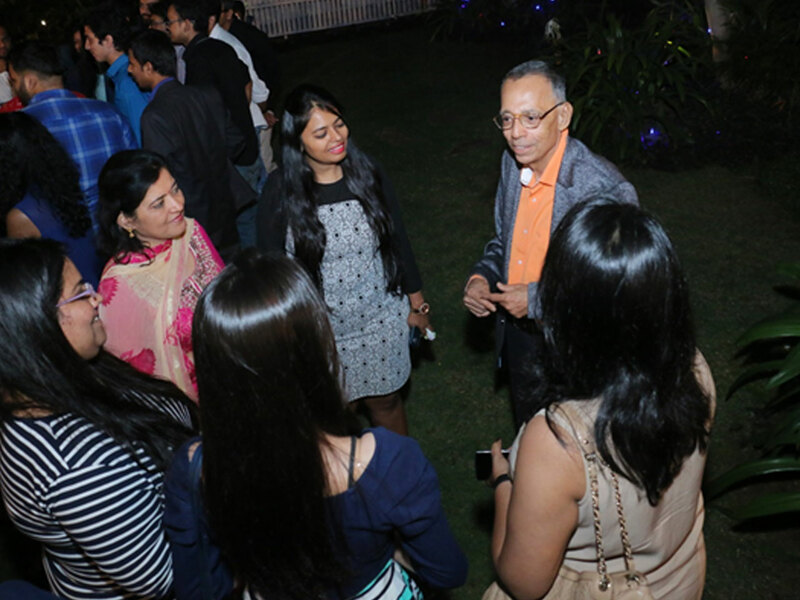 Sir spoke about how Alumni Network in Atharva has grown leaps and bounds. Prof. Rajan also focused on how Alumni are the assets to the institute and it feels great to have the alumni back to their roots every year. The last and the most interesting session was the Interaction with the Alumni. 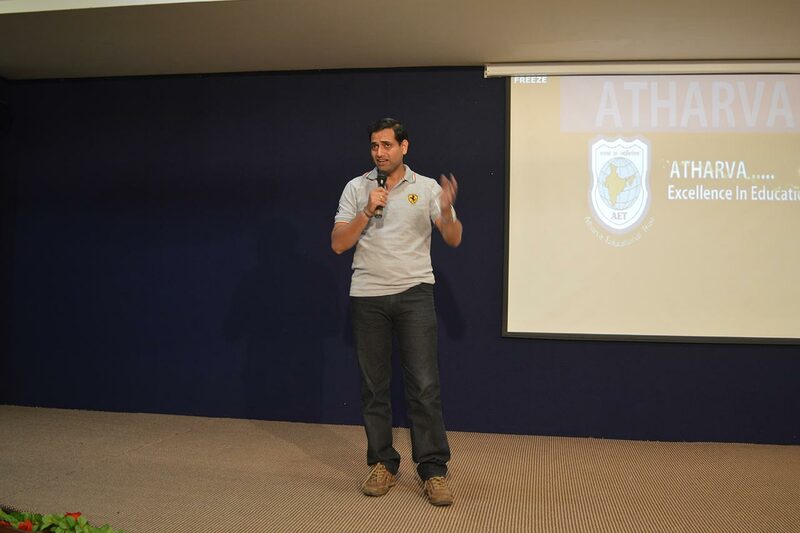 Here, the alumni students came up on the dias and shared their memories of Atharva. 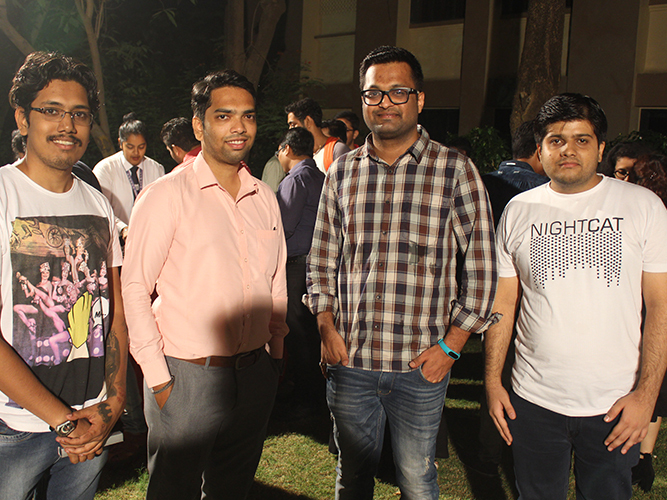 Jatin Damania shared his experience in Atharva and how Atharva has grown over the years. Mayur Joshi talked about how he feels being the pass out of the very first batch of Atharva and his path towards being the VP of Anand Rathi. 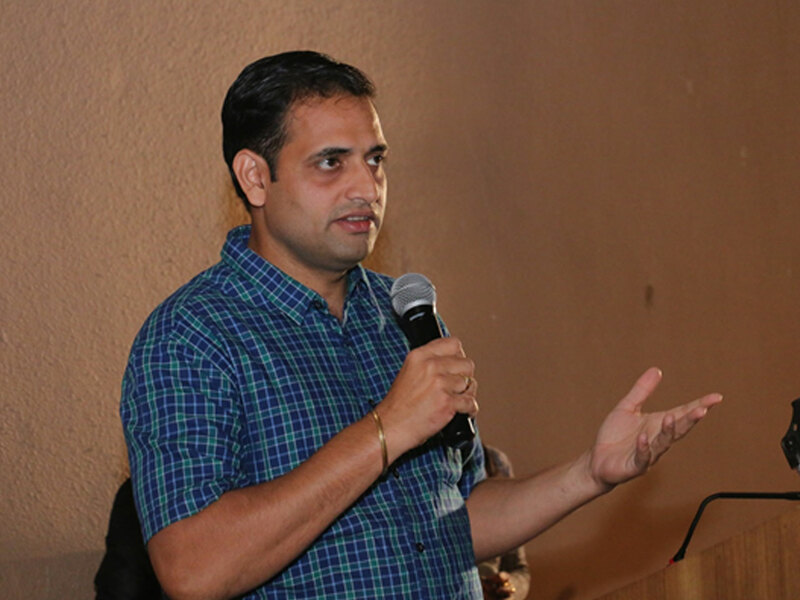 Parag Rane talked about the difference between life at Atharva and Work Life and advised students to enjoy each moment being a student as it won't come back again. 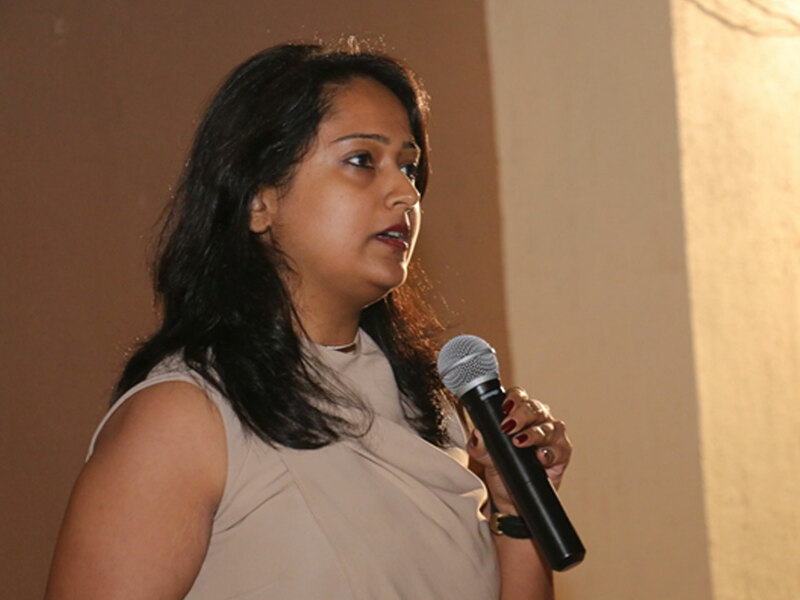 Pooja Bhayani, Shruti Poddar, Disha Jugat, and Nikhil Agwane talked about the importance of accepting jobs that come to you as the real world has few opportunities so it's necessary to not lose out on jobs. Great bonhomie was observed everywhere with old students reliving their old memories with their batch mates, seniors and juniors. Many of the current students were also seen interacting with their pass out seniors and learning from their experiences. 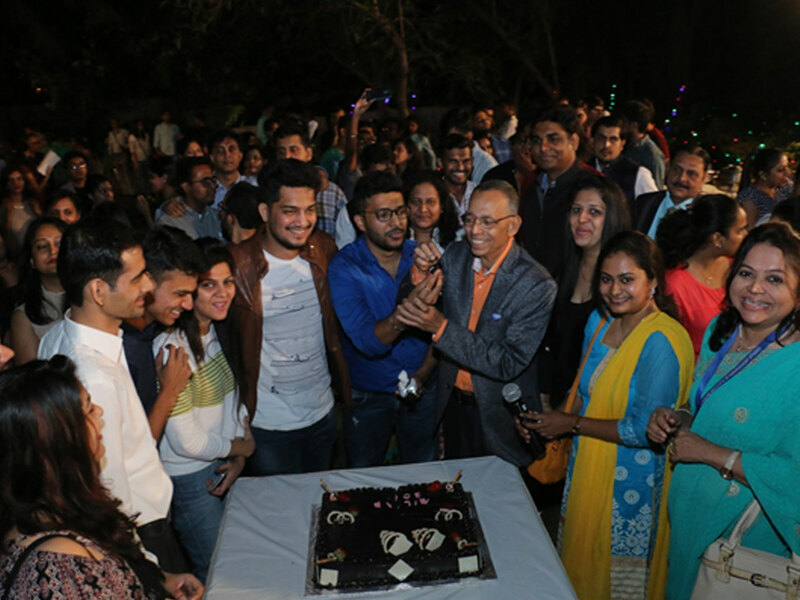 The event ended with a cake cutting and dinner. 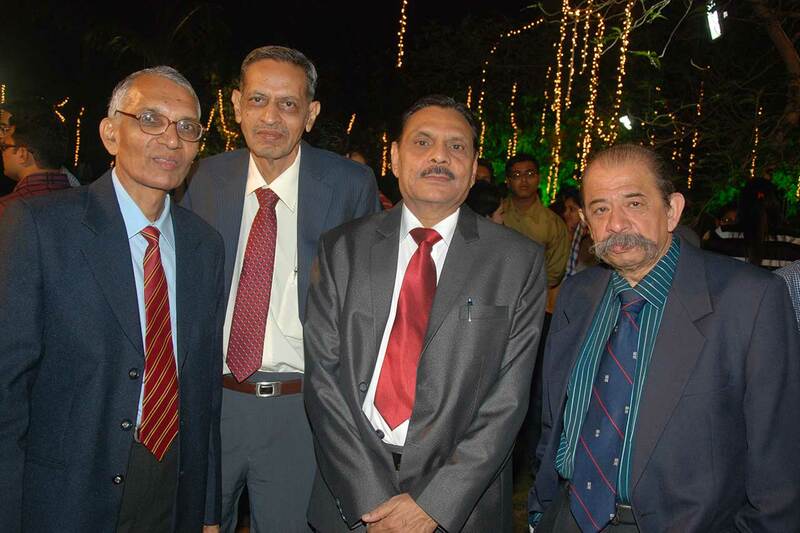 The Alumni Meet at Atharva Institute of Management Studies was a celebration of our past and present with a blend of several alumni interacting with the present. During his interaction, Prof N.S. Rajan traced the growth of AIMS from its humble origins. 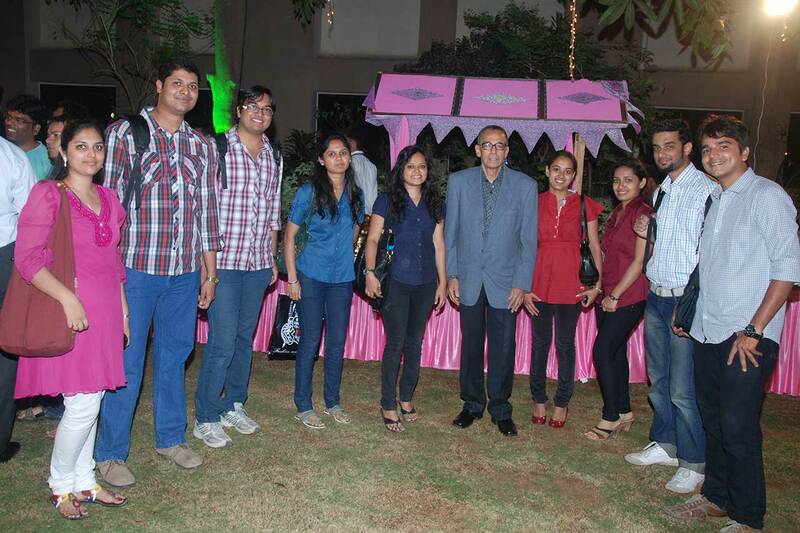 He acknowledged the role played by the Alumni in building the Atharva brand. 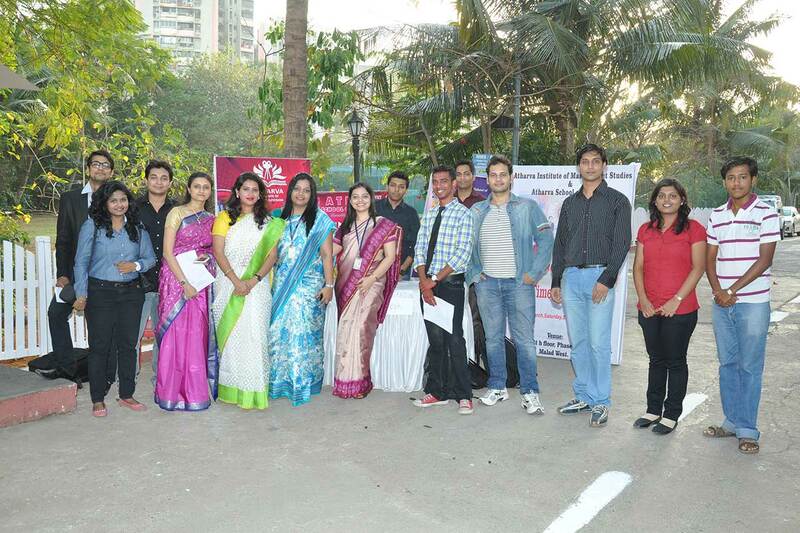 The present students of AIMS put up a stellar cultural programme for the seniors. 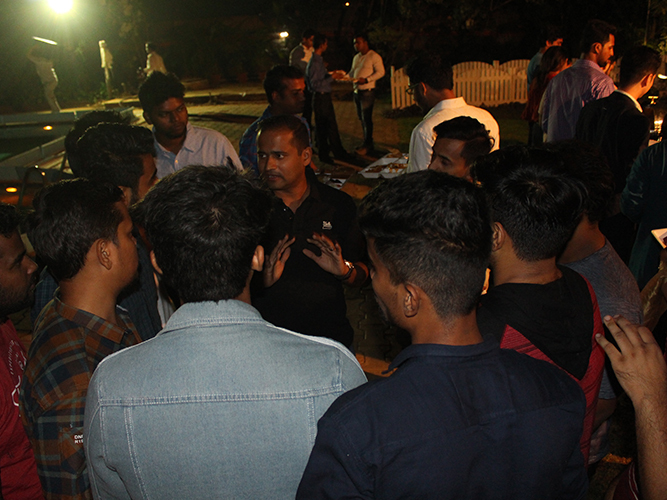 The Alumni meet witnesses a spontaneous outpouring of affection and emotions by the former students of AIMS. All the students, right from one of the earliest batches to the latter ones thanked the faculty of AIMS for making their stay a memorable and fruitful one. Many of them came on to the dais to express their gratitude and share experiences from the past. Shubhangi Srinivasan was selected as the AIMS Best Alumni while Nikhil Agwane won the Runners Up award for the best Alumni.